Let nothing hold you back when you drive — make the 2019 BMW 5 Series yours. The sophisticated cabin envelopes you and your passengers in luxurious comfort as well as surround sound with systems from either Harman Kardon® or Bowers & Wilkins. Intelligent Voice Control understands natural speech patterns for easy commands, and the available xDrive® Intelligent All-Wheel Drive System works with the Dynamic Stability Control system to optimize handling based on the current road conditions. With the BMW safety suite on your side, you can drive with confidence. 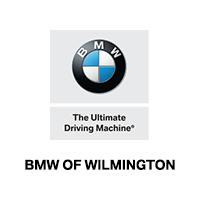 Test drive a 2019 BMW 5 Series in Wilmington, NC, today. Why the 2019 5 Series?